D. Murugesan And M. Sathyanarayanan, JJ. M. Sathyanarayanan, J. – The revenue has preferred this appeal under section 260A of the Income-tax Act, 1961 challenging the vires of the order dated 17-10-2008 passed by the Income-tax Appellate Tribunal ‘C’ Bench, Chennai, made in I.T.A. 588/Mds./2005. “(1) Whether on the facts and circumstances of the case, the Income-tax Appellate Tribunal was right in law in holding that the gifts received on assessee’s birthday of Rs. 1,75,70,347 as Capital Receipt and having no nexus with his profession as vocation of religious practice is valid ? As per the profile submitted by the respondent/assessee, he was born on 3-3-1941 at Melmaruvathur Village, Kanchipuram District and during his childhood, Goddess Adhiparasakthi frequented in his dreams to make it known that she wanted him to build a temple and use it to alleviate the sufferings of humanity. The devotees are believing that the assessee is believed to be an Avatar and incarnation of Goddess Adiparasakthi. The Assessee’s Oracles and Miracles attract millions of devotees from all over the world who come to Melmaruvathur to seek his blessings. The devotees calling him as ‘Amma’ and he is rendering tireless serves to the mankind irrespective of caste, creed, colour, religion, economic status and integrity. 4. The devotees of the assessee come and make their offerings for contribution voluntarily to him at the time of his birthday and the same has been accounted as capital receipts and receipts have also been issued. Thus, the assessee is performing religious practice for the benefit of mankind. 5. According to the revenue, the assessee filed his Return of Income for the assessment year 2004-05 declaring taxable income of Rs. 5,23,680 and the same was accepted under section 143(1) of the Income-tax Act. On scrutiny of the Balance Sheet, it has been revealed that an amount of Rs. 1,75,70,347 was received as gifts during that year and was shown as capital receipts. 6. The Assessing Officer during the course of assessment, treated the gifts as having nexus to his profession as a religious head and, hence, brought the entire income within the net of tax and vide assessment order dated 5-11-2007 under section 143(3) read with section 147 of the Income-tax Act, 1961 and credited the abovesaid gift as professional income and held that the assessee is liable to pay a sum of Rs. 75,56,439 as Income-tax. It is also indicated in the said order that penalty proceedings under section 271(1)(c) are being initiated separately. 7. The assessee/respondent herein aggrieved by the Assessment Order passed by the Assistant Commissioner of Income-tax Circle I, Tambaram, Chennai-45, has preferred appeal before the Commissioner of Income-tax (Appeals), Chennai in I.T.A. No. 97/07-08. The Commissioner of Income-tax (Appeals) vide order dated 9-1-2008 has set aside the order passed by the Assistant Commissioner of Income-tax Circle-I, on the ground that the amounts received by the assessee are gifts and they are not consideration for profession/vocation. The Commissioner of Income-tax (Appeals) has also considered the decision in CIT v. Vanamamalai Ramanuja Jeer Swamigal  231 ITR 632 (Mad.) for arriving at such a finding and allowed the appeal filed by the assessee. 8. The department/revenue aggrieved by the order passed by the Commissioner of Income-tax (Appeals), had preferred further appeal before the Income-tax Appellate Tribunal ‘C’ Bench, Chennai in I.T.A. No. 588/Mds./2005 for the assessment year 2004-05. 9. The Appellate Tribunal after taking into consideration the rival submissions and considering the various decisions cited before him, vide order dated 17-10-2008, has dismissed the appeal on the ground that that the gifts received by the assessee, have no direct nexus with any of his activities and it is squarely covered by the decision in Vanamamalai Ramanuja Jeer Swamigal’s case (supra). The revenue aggrieved by the order of dismissal of the appeal passed by the Income-tax Appellate Tribunal ‘C’ Bench, Chennai, had preferred this appeal. 10. Mr. J. Nareshkumar, learned Senior Standing Counsel appearing for the Income-tax Department/appellant, has submitted that but for the fact the assessee is a religious leader, and that his profile also states that he is performing Oracles, the devotees would not have made gifts to him. 11. It is further submitted by the learned senior standing counsel appearing for the appellant that the assessee is admittedly living with his family and keeping the amount in his bank account and it was also shown in his Wealth Tax Returns filed for the assessment year 2005-06. It is the further submission of the learned senior standing counsel appearing for the appellant, the assessee has not offered any proper explanation as to why gifts/donations received from his devotees were deposited in his individual bank account and even though two charitable trusts are run by him, the assessee has not deposited the donations in the accounts of the trust. Therefore, the learned senior standing counsel appearing for the appellant would submit that in the absence of any supporting material produced by the assessee that it is a capital receipt, the Assessing Officer on a careful consideration of the materials available on record, has rightly arrived at a finding that it is liable to be taxed and consequently levied tax on the said income with liberty to proceed under section 271(1)(c) by way of penalty proceedings. It is the further submission of the learned senior standing counsel appearing for the Department that the Commissioner of Income-tax (Appeals) as well as the Tribunal had failed to take into consideration the said vital aspects and by placing reliance upon the decisions which are not applicable to the facts of the case, had upheld the claim of the assessee and therefore, the impugned order passed by the Tribunal confirming the order passed by the Commissioner of Income-tax (Appeals) is liable to be set aside. (i) P. Krishna Menon v. CIT  35 ITR 48 (SC). (ii) Maharaj Shri Govindlalji Ranchhodalalji v. CIT  34 ITR 92 (Bom.). (iii) Dr. K. George Thomas v. CIT  156 ITR 412 1 (SC). (iv) Father Epharam v. CIT  176 ITR 78 2 (Ker.). (v)Unreported Judgment dated 16-12-2008 in W.P. Nos. 15527 to 15537 of 2003. 13. In P. Krishna Menon’s case (supra) the assessee after his retirement as a Superintendent of Police, spending his time in studying Vedanta Philosophy and expounding the same to such persons. He soon gathered a number of disciples. One of the disciples had transferred the entire balance outstanding in his account to the credit of the assessee and the said amount was the subject-matter of assessment. The Income-tax Officer had assessed the said income as a taxable income and the assessee preferred an appeal before the Asstt. Commissioner who dismissed the appeal. The assessee’s appeal to Appellate Tribunal has also ended in dismissal and hence, further appeal was preferred before the High Court of Bombay which has also ended in dismissal. The assessee filed appeal before the Hon’ble Supreme Court of India. The Hon’ble Supreme Court on the facts, found that the assessee was teaching his disciples Vedanta, without any motive or intention of making profit out of such activity and that teaching of Vedanta by the assessee can properly be called the carrying on of a vocation by him. The Supreme Court held that the importing of the teaching was the cause causans of the making of the gift and that the payments with which were income arising from the vocation of the appellant as a teacher of Vedanta, no question of exemption under section 4(3)(vii) of the Act arises. The Supreme Court citing the said reasons has dismissed the appeal filed by the assessee. 14. In Maharaj Shri Govindlalji Ranchhodalalji’s case (supra ) the assessee is a direct descendant of Shri Vallabhacharyaji who founded the faith known as ‘Vallabh Sampradaya’ Maharaj Shri is not a sanyasi and he has married and has children. He is succeeded by his sons who inherit and divide the properties. The assessee keeps an idol of Lord Krishna in his house and the offerings are made to the assessee. The authorities below held that the assessee therein was carrying on a vocation and the assessee aggrieved by the same, preferred an appeal to the High Court of Bombay. The Bombay High Court held that even practice of religion can become a vocation and more so, when it brings in a steady income. Therefore, the Bombay High Court upheld the claim of the Department that the assessee was rightly assessed to tax as income. 15. In Dr. K. George Thomas’ case (supra), the assessee was a lecturer in a college and he associated himself with the Indian Gospel Masson in the USA, which collected money for its working abroad through the Indian Christian Crusade. On returning to India, the assessee was propagating the ideals of the Indian Christian Crusade and was engaging in a movement for the spread of religion etc., and he also started publishing a daily newspaper. The income of the assessee was subjected to tax and challenge made by the assessee before the authorities below had ended in futile before the High Court of Kerala also. Hence, the assessee preferred an appeal before the Hon’ble Supreme Court of India. 16. The Hon’ble Supreme Court of India in the decision held that there was a link between the activities of the appellant and the payments received by him and the link was close enough and that the appellant got receipts on account of carrying on of his vocation and they were not casual and non-incurring receipts. The Hon’ble Supreme Court of India citing the said reasons, has upheld the case of the Department that the incomes were taxable. 17. In Father Epharam’s case (supra), the assessee was a Priest in a Monastery and he received substantial foreign remittances and the surplus amount that remained after distribution to various other Priests for performing the mass, was treated as the income of the assessee and was taxed. The assessee challenged the imposition of tax, and lost before the authorities and hence, he preferred further appeal to High Court of Kerala. The High Court of Kerala held that there was a close and intimate link between the occupation or avocation of the assessee and the payments received by him and based on the said reason, dismissed the appeal filed by the assessee. 18. Similar view was taken in the unreported judgment dated 16-12-2008 made in W.P. Nos. 15527 to 15537 of 2003. 19. The learned senior standing counsel appearing for the appellant/department by placing strong reliance on the abovecited decisions would submit that but for the fact the assessee/respondent herein is a religious leader, he would not have received gifts and hence, there is a close and intimate link between the activities/avocation of the assessee and the payments received by him and therefore, it was rightly taxed by the Assessing Officer and it was erroneously reversed by the Commissioner of Income-tax (Appeals) and the Appellate Tribunal and hence, the learned standing counsel appearing for the appellant praying for the setting aside of the order passed by the Tribunal and to confirm the order passed by the Assessing Officer. CIT v. M. Balamuralikrishna  171 ITR 447 1 (Mad. ), C.P. Chitrarasu v. CIT  160 ITR 534 2 (Mad. ), CIT v. Sri Vanamamalai Ramanuja Jeer Swamigal’s case ( supra). In all the said decisions the judgment of the Hon’ble Supreme Court of India in P. Krishna Menon’s case (supra) has been referred. 21. In M. Balamuralikrishna’s case (supra) the assessee is a Musician by profession and he claimed a sum of Rs. 30,000 given to him by his fans in appreciation of his completing 30 years of service rendered to Carnatic Music as exempted from tax. The Income-tax Officer treated the said income as professional income and levied tax. The assessee preferred appeal and the Appellate Authority held that the said payment was received by way of a testimonial or personal gift and not taxable and the said view was also upheld by the Tribunal and hence, the Department taken up the matter for further appeal before this Court. A Division Bench of this Court by placing reliance upon P. Krishna Menon’s case (supra), S.A. Ramakrishnan v. CIT  114 ITR 253 (Mad. ), and other decisions, has held that though the assessee is an artist by profession, there is no direct nexus between this payment and his vocation though it may not be denied that there is an indirect connection between the two. The payment received by the assessee from his fans, was expression of their goodwill and hence, the said amount cannot be said to have been paid to him by way of remuneration for those services. Citing the said reasons, this Court in the said decision, has upheld the claim of the assessee and dismissed the appeal preferred by the Income-tax Department. 22. In C.P. Chitrarasu’s case (supra), the assessee was an active member of a political party and held various offices. A committee consisting of the party men of that party had collected donations from the members of the party, businessmen and public and also arranged a drama for the purpose of donating a purse and the same was donated to the assessee. The Income-tax Officer held that a sum of Rs. 51,000 out of the amount given to the assessee by his admirers, would constitute income received by the assessee in the course of his vocation as a politician and therefore, it was taxable. The assessee was successful before the authorities below and hence, the revenue preferred the said appeal before this Court. A Division Bench of this Court after taking into consideration the factual aspects and the decisions cited before it, held that the presentation of Rs. 51,000 to the assessee amounted to windfalls or gift for his personal qualities, though his profession or vocation as a politician. This Court further held that no materials placed before the lower authorities by the revenue that the presentation of Rs. 51,000 to the assessee will amount to a receipt arising from the exercise of a profession or vocation or occupation and therefore, for the said reasons, the appeal preferred by the revenue was dismissed. 23. In Vanamamalai Ramanuja Jeer Swamigal’s case (supra), the assessee namely Shri Vanamamalai Ramanuja Jeer Swamigal, Nanguneri, Tirunelveli District, received amounts by way of Kanikkai and Sambhavanai amounting to a sum of Rs. 12,156. 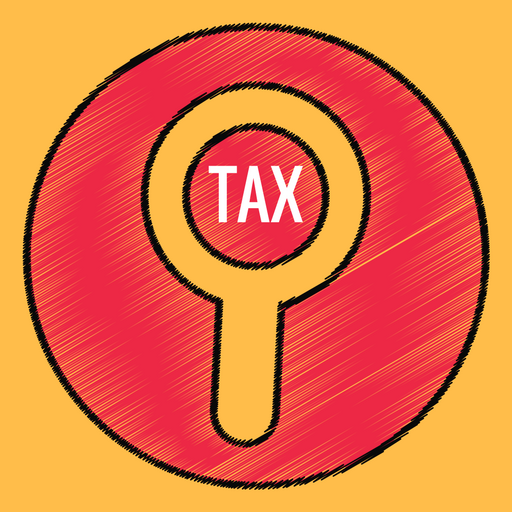 The question arose was whether the said amount was assessable as income-tax under the Income-tax Act, for the assessment year 1974-75. The Tribunal held that the said presentation was out of personal regard, personal esteem and veneration for Swamigal and did not constitute income from the exercise of any profession or vocation and that there was no evidence to show that Swamiji had been exercising any profession or vocation. The revenue preferred appeal before this Court and it was contended that any amount brought by his followers would amount to income assessable to tax under the Income-tax Act. A Division Bench of this Court in the said decision, has taken into consideration the P. Krishna Menon’s case (supra) and other decisions, held that Kanikkai and Sambhavanai were paid by the devotees to the Jeer Swamigal out of personal regard, esteem and veneration and that the Swamigal is not exercising any profession or avocation and the voluntary offerings made by the devotees are not on account of any profession or vocation. This Court for the said reasons, has held that the said offerings will not be considered as income under the Income-tax Act and, therefore, dismissed the appeal preferred by the revenue. 24. Learned senior counsel appearing for the respondent/assessee would submit that the decision in Vanamamalai Ramanuja Jeer Swamigal’s case (supra) is squarely applicable to the facts of the case and further that the Commissioner of Income-tax (Appeals) as well as the Income-tax Appellate Tribunal had upheld the case of the respondent by rendering concurrent findings. It is further submitted that no substantial questions of law arose for consideration in this appeal and hence, prayed for dismissal of this appeal. 25. This Court has carefully considered the submissions made by the learned senior standing counsel appearing for the appellant and the learned senior counsel appearing for the respondent and also the decisions relied on by the respective counsel. 26. The Religion is a matter of faith stemming from the depth of the heart and mind and is a belief which binds the spiritual nature of men to super natural being. Devotion is a consecration and denotes an act of worship. Faith, in the strict sense constitutes firm reliance on the truth of religious doctrines in every system of religion and religion, faith or devotion is not easily interchangeable. Religion has reference to one’s views of his relations to his Creator, and to the obligations they impose of reverence for his being and character, and of obedience to his will. 27. The profile of the respondent/assessee would indicate that Goddess Adhiparasakthi frequented in his dreams to make it known that she wanted to build a temple and use it to alleviate the sufferings of humanity and accordingly, the respondent/assessee has built a temple which is also known as ‘Sakthi Peedam’. The devotees on important occasions, used to throng the temple and as per the practice prevails in the temple, the devotees irrespective of their gender, can perform poojas and Abishegams to the presiding deity namely Goddess Parasakthi. The abovesaid practice of devotees performing Abishegams and poojas to the presiding deity is not prevalent in the State and therefore, out of love and affection and veneration, they used to assemble in great numbers on the eve of the birthday of the respondent/assessee and offer gifts. 28. It is to be pointed out at this juncture that the respondent/assessee as a religious head, is not involving himself in any profession or avocation and also not performing any religious rituals/poojas for his devotees for some consideration or other. In fact the respondent/assessee is doing charitable work and spiritualization and made his devotees to follow the same for the benefit of mankind. 29. The devotees out of natural love and affection and veneration used to assemble in large numbers on the birthdays of the assessee and voluntarily made gift, and at any stretch of imagination it cannot be said that the amount received by the respondent by way of gift would amount to vocation or profession. It is not the case of the department that the devotees were compelled to make gift on the occasion of the birthday of the respondent/assessee. The facts of the present case would disclose that the amount/gift received by the respondent/assessee cannot said to have any direct nexus with any of his activities as a religious person/Head. 30. The Commissioner of Income-tax (Appeals) as well as the Income-tax Appellate Tribunal held that simply because the respondent/assessee practising ritualism while leading normal family life, cannot said to be carrying on any profession or vocation and that no link has been established between the receipt received on the occasion of the birthday and so called vocation carried on by the assessee. 31. The decisions relied on by the learned senior standing counsel appearing for the appellant/department have no application to the facts of the present case as in those cases. Courts held that the activities of the concerned assessees would amount to vocation and object of which, is to make a profit and also amount to revenue receipt. Since, there is no change in facts and law in the present case, the reasons assigned by the Income-tax Appellate Tribunal are correct and this Court finds no infirmity or error apparent on the face of record in the impugned order. 33. This Court after taking into consideration the factual as well as the legal aspects is of the considered opinion that the substantial questions of law raised by the revenue are to be answered in negative against them. Therefore, the appeal is dismissed confirming the order dated 17-10-2008, passed by the Income-tax Appellate Tribunal ‘C’ Bench, Chennai in I.T.A. No. 588/Mds./2005. In the circumstances, there will be no order as to costs. This entry was posted in Section 4 and tagged 344 ITR, capital receipt, gift, In favour of Assessee, Madras High Court.